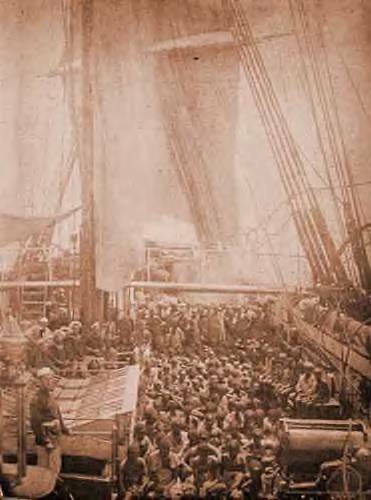 This Page Is Dedicated To John Stone My Great - Great Grand Father and all the young African Boys and African Men that were on the same Human Cargo Enslavement Ship with him from Africa to America. I am the third Generation of Free Born (1955) African Americans. I shall never forget Who I am... and Who My Ancestors were. Join Slave Descendants Freedom Society Today! Teach Our Children Who They Are, Who We Are, Where Our Ancestors Were Born & Originally Came From Be Proud To Say Our Motherland Is Africa. Let Me Introduce You To SLMTV. One Of The Best African Music Experiences! Sierra Leone African Internet Radio. Music & International News. How The Law Decided If You Were Black Or White? As African Americans we often face and have many daily life challenges and obstacles to overcome. Some of these challenges are minute and can be handle as they arise without cause for alarm. Other of these challenges test our character and our limits. In those days,when we feel mentally disturbed by our enviromental struggles or emotionally unsettled by an unexpected life crisis, event or an unforseenable obstacle and the universal forces seem against us, Murhpy's Law becomes known and a reality in our lives; this is when we really need to believe in ourselves, exercise our faith, steadfastness of purpose and clarity of thought(s). Our African History the wonder and amazement of it and our African American History and the people whom have touched our lives can inspire, influence and empower us. 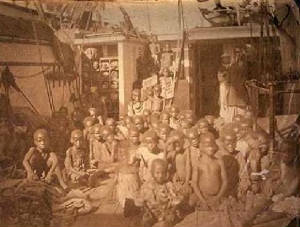 Reflecting on the historical factual accounts about our African Ancestors transported Ports of Departure and the "Doors of No Return" from Africa was inmeasurably different than the European Passengers departures coming to America to escape religious & / or political persecution and to seek a new life or the European Prison System prisoner relocation for manpower and free labor. America was and has been a destination of choice for Europeans. The Europeans that cross the Atlantic Ocean and disembarked from the Eastern Seaports especially, New York Harbour, Ellis Island, had made a conscious choice to immigate to America. Many were seeking economic opportunities in the new world, freedom of religious expression & /or social & political power. As paying passengers from their chosen ship's European embarkment they had the freedom to roam, explore, mingle and enjoy the transatlantic water trip and experience the treatment that was normally reserved for guest ship and boat passengers. Of course, people of privileged lineage the royals and wealthy merchants of Europe enjoyed preferential treatment during their voyage. Upon their disembarment in America the ships European passengers had the freedom to make a new life for themselves, create & / or find favorable opportunities. European Prisoners after completing their alloted prison time in America were release. They, too, had the freedom anf the opportunity to make a new life for themselves, pursue and experience their passions. Our African Ancestors were intentionally kidnapped, rapped and forcibly brought to America against their will, physically seperated forever from their homeland, mother's tongues, families and children. 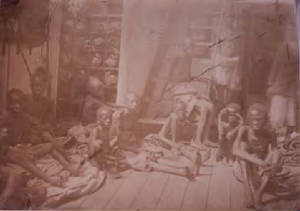 Enduring the horrendous stressful long journey of the "Middle Passages" chained, enslaved, mistreated on their passage and upon their disembarkment in the "New World" were sold at public auction houses as human cargo for profit; traded, given as gifts and completely controlled and dominated by the people that brought or received them as gifts. Then legally willed and passed on to other people as inherited property. Meanwhile, Our African Ancestors families in Africa were deprive of their love ones forever. Then refelecting upon the American society's past blatant social attitudinal racial contempt and disdain for Black People, the oppressive, abusive, cruel mental, physcial brutality, torture and violence, denigrating, humilating, discriminating and exploited treatment toward people of African Descent; and the outrageous enviromental and deplorable living conditions is truly unconsciousable. Can you imagine living your life under these horrendous conditions and horrible circumstances? Can you imagine the psychological and emotional impact it would have on you? Can you see, recognize and understand "why" many of todays African American leaders are advocating for Reparations? Our people endured these enormous life challenges. Our Ancestors and their Spirit triumph over the struggles of their adversity. This is inspiring and gives us hope that no matter what we may face today - we, too, have the internal inner strength, resources and mental power to overcome life's challenges. Always Remember the Spirits of the Ancestors will guide you if, you call on them, be still, listen and allow them to inspire you. You are not alone. The impact of the systematic instituition of enslaving African people and racism in America is the root cause of many challenging factors facing African Americans in the past as well as today. Our African American political and community leaders of the past understood, all to well because they lived the economic hardship, the lack of job opportunities, prevalent discrimination in employment, social and public services facilities, the overt discrimination and the social physical threat to the personal security of African Americans, lynchings, bombings, police harassment, racial profiling, wrongful crime convictions, life or long term prison sentences, health, education, unemployment, housing and community issues. Can you imagine living in a society that did not acknowledge you or your existence as a human being? Can you imagine how this systemic daily denial and rejection would make you feel? Can you imagine living in a society that did not offer & / or denied you access to opportunities? Can you see how these prevelant oppressive life issues affected Black People lives and the lives of the people they loved? America and all of it's Citizens and people all over the world need to understand the legitimacy of Reparations for Black People. In recent years, it is wonderful to see a greater African American presence and influence in the Government, Politics, Law, Corporate America, Financial Insituitions, America's Broadrooms, Social Insituitions, Academic Insituitions and on the Internet with Commerce and E - Businesses. These political and insituitional social changes are a direct result of the advocacy for "Affirmative Action". standard of living and, also, provide for social cultural and leisure activites. endeavors. We hope it will be a valuable precious resource and benefit to our Stone Family Members, Friends and our Guest Visitors. We encourage you to Bookmark our website and visit it frequently. Tell your family members and friends about us. If you would like to submit your website and information into this site's database please fill out the information form below. Your Information Is Respected and Protected. We do not Share Information . Are You Searching to Find Estrange Family Members, Relatives or Friends? Miami Florida Private Investigator Services - Civil, Infidelity, Employee & Insurance fraud investigations. Video surveillance, phone traces & records, locate persons, undercover operations, Spy equipment, GPS vehicle tracking & MoreCall Now - free Consultations 1-800-743-2313 (24 Hr Services). Click Here: Court Records.org / BackGround Check! Human interaction and relationships, personality feelings and emotions - usually obtained by live watching of people's body language can now be extracted from a still picture. Non-Related African American Stone Family Surname Directory. These Genealogy Website Links below are devoted to African, African Americans And People Of African Descent WorldWide. This Section Features And Premiers African American Family History, Heritage And Culture. 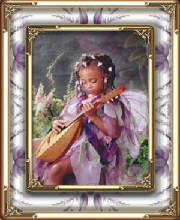 This Section Features a Distinctive African American Genealogy Family Websites Directory. Listed are Highly Selected and Impressive African American Family Websites with Guest Books and Website Links. The Guest Books are corridors leading to expectional African American Websites! Please use the "Contact Me" located below to notify us immediately about referrals customer service and your satisfaction, missing link information, dead links or listed inaccuracies, ommissions or errors to be corrected. We are committed to maintaning the highest levels of excellence in the area of listed sources, referrals, recommended resources, Affilates product and services listed on this site. Thank You.